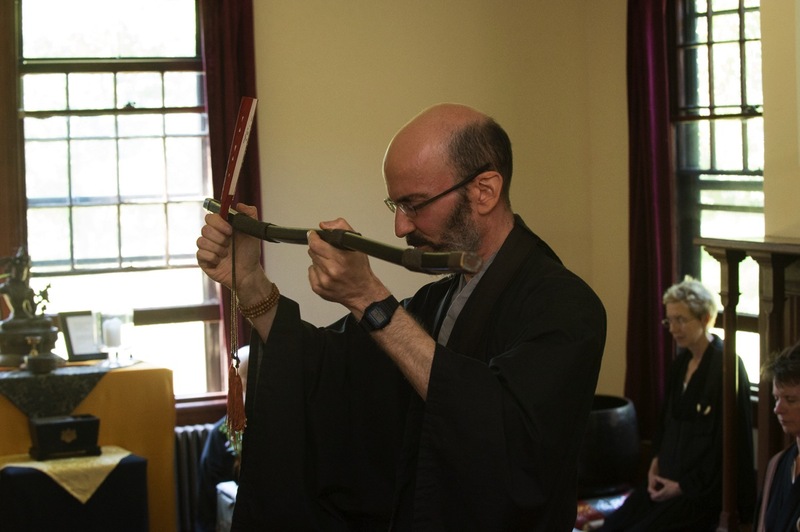 On August 24, 2014, Bokushu gave his first dharma talk at the Village Zendo's summer meditation retreat. 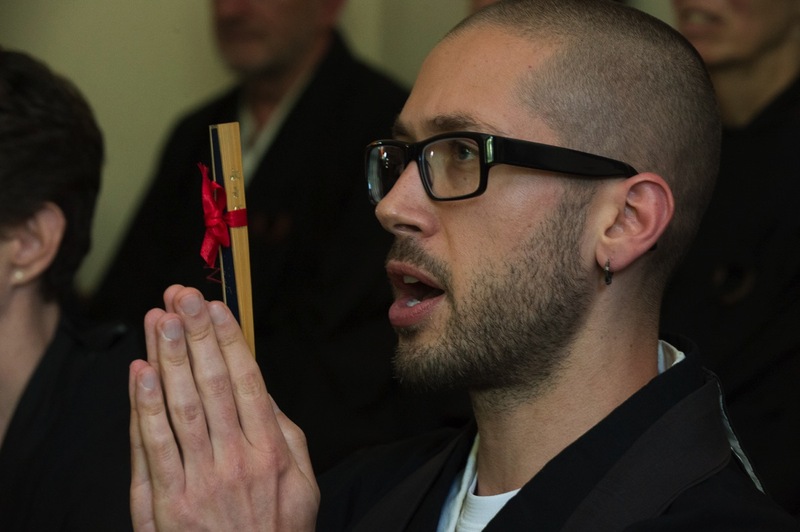 I'm next: I'll be the Zendo's practice leader this winter and give my first talk in March, so I received a fan and chanted a poem during the ceremony. Photos copyright Ian Darson, all rights reserved. Bokushu with his staff and fan. View the whole photo set on Ian Darson's site.